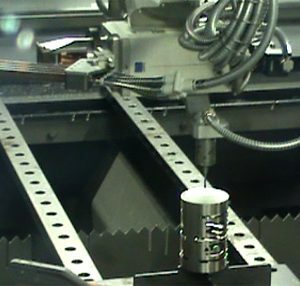 Cutting of steel extrusions modelled using the latest CAD/CAM 3D software. 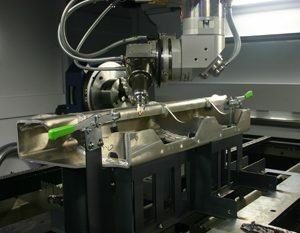 Cutting in pipes and profiles using a rotary axis, with the ability to chamfer the cut surface. 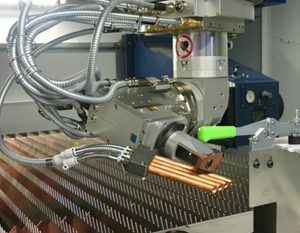 Copper cutting using FIBER type laser. 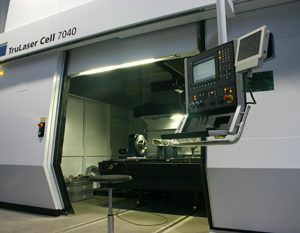 Laser welding of construction, stainless and galvanised steels. 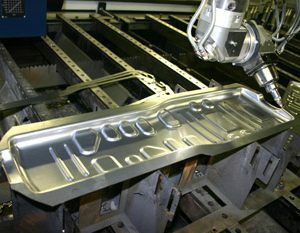 Possibility of positioning workpieces by means of a measuring head. Construction steel sheets up to 25 mm, stainless steel sheets up to 25 mm, aluminium up to 15 mm, titanium up to 3 mm, brass up to 4 mm, copper up to 4 mm. We provide cutting, bending and welding services for parts made of structural steel, stainless steel, aluminium, brass, copper and titanium.